Venezuelan-Canadians have mobilized to send food and medicine as the country struggles through a crisis that its government denies is happening. Many send supplies to both their own family members, and charitable efforts. The effort is expensive for the sender - and can be risky for the recipient. Chirinos, a Toronto scientist with a background in the oil and gas industry, hails from Venezuela's Paraguana Peninsula. The region was once an incubator of oilfields knowledge, but Venezuela's oil industry has crumbled along with the nation's economy and its democracy, forcing many local people to seek new lives abroad. "And after that, every single month I pack two boxes with all the things they need, medicine and food and everything, and send it to them." The company charges approximately $175 to send a 90-pound package by sea to Venezuela, and guarantees delivery to any part of the country. That's no mean feat in a landscape that is sometimes violently disputed by protesters, police and criminal gangs. "It always gets there," she said. "It takes four or five weeks by sea. The only thing is that Paraguana is a peninsula and sometimes it's isolated because the road is closed due to the sand dunes, and nothing gets through. So sometimes it takes eight weeks to get through." "I couldn't even recognize my neighbour, because he was half the size," she said. "Many of the people in my neighbourhood were like that. And that's when we started doing some fundraising here. I decided we wanted to help the neighbourhood. "There are two churches there that have volunteers who, every single day, go to cook lunch for the people in need. 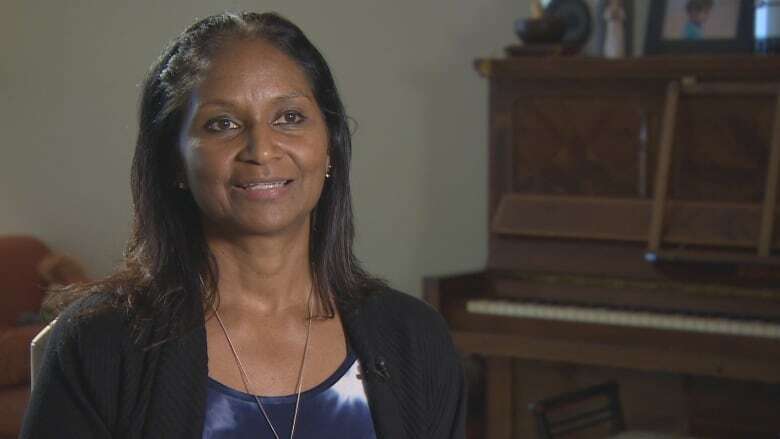 So all these people that don't have that facility of having someone in Canada that can send them food, they can go there and at least get one meal a day." Chirinos has made common cause with other Canadian paraguaneros, many of whom have found work in Alberta's oilpatch. "We all got together and decided we wanted to help people on the peninsula because no-one else is going to do it. "Our job, the Venezuelans abroad, what we're doing by sending food is keeping everybody alive there, because we are going to recover our democracy and we're going to be free, and we need everybody there strong to build it up again, because it's going to be left in pieces." Rebecca Sarfatti's family is in Caracas, including her elderly mother, and she sends regular packages for them. Sarfatti is also part of an underground railroad running supplies to public hospitals and clinics long neglected by the Maduro government. Starting in 2016, Venezolanos Por la Vida (Venezuelans for Life) has been collecting donations from the community in Canada and organizing shipments of everything "from needles and cotton bandages to machines and supplies to keep the machines working," said Sarfatti. "We've had a lot of help from Canadians, and from Venezuelans who are risking their life and security to get that stuff where it's needed." Venezuela's government is prone to lash out at anyone who questions the official narrative that there are no serious shortages in the country. 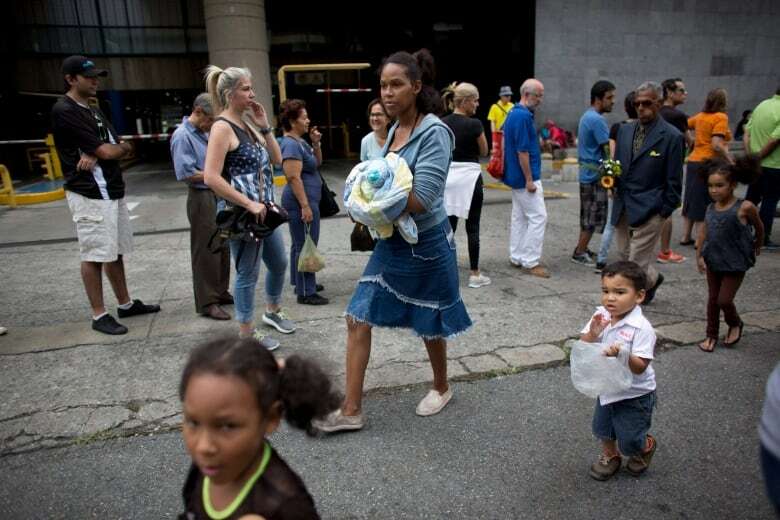 Leaders of the Maduro regime have said the Venezuelan exodus is a "fashion" and that refugees are leaving for reasons of "status" rather than hunger. "They've been denying that there is a crisis," said Sarfatti. "There's plenty of food for everybody. Nothing is happening, everything is fine, and we the people who are trying to help are just trying to overthrow them because we're from 'the right'. "The people who receive the material in Venezuela have to be careful. We have to be very careful with that, because (the government) can go against them just for being part of this whole chain. It's very hard to keep this chain going smoothly because people are leaving Venezuela so we're losing pieces of the chain." Sarfatti admitted she's torn between the need to help those close to her and those she knows are worse off. "I want to help my Mom, I want to help my friends, I want to help everybody. But how much can you help?" "My best friend ever, his wife is facing breast cancer, and they are going crazy because they can't go to the public hospitals because there's nothing there, and their insurance from work ran out. So they turned to private hospitals to get some radiation, and the cost, the numbers ... I can't even pronounce them any more." Last month, Venezuela removed five zeros from its hyper-inflated currency, issuing a new bolivar that lost half of its value in its first week of existence. The government also announced a new crypto-currency, the 'petro', that was supposed to attract new investment to Venezuela — but instead sank without a trace. Sarfatti said Venezuela's government has been using the malnutrition crisis in the country to deepen its social control of the population. The ruling party has introduced a system of Local Committees for Supply and Production ("CLAP" is the Spanish acronym) that distributes boxes of basic foodstuffs at subsidized prices. But access to the "CLAP boxes", as they are known, is used to enforce political loyalty to the Socialist party, as is employment in public jobs. The government also is issuing digital ID cards known as Carnet de la Patria ("fatherland cards"), designed with Chinese help, that it uses to direct benefits to party supporters and punish opponents. "What they do is control you, make you sign here, or say this or say that, in order to get some food. They're manipulating humans," said Sarfatti. "It's extremely sad."